I recently moved into a new apartment that is equipped with a wood burning fireplace. I am very excited about this, not only because burning wood on a cool day makes the world seem simpler and awesome, but also because I am interested in the potential culinary applications. First and foremost, I am interested in grilling. There seem to be a number of different ways to use an indoor fireplace as a grill. Given the limited space of my apartment-sized fireplace, what is the best solution to grill a steak, some veggies, or some hot dogs over my interior open flame? What features differentiate the various styles of these devices? Safe design. This means the unit should remain steady when engaged with the fireplace. The ability to easily add and remove food from the cooking surface. The ability to easily move the cooking surface closer to and further from the fuel source. These are paramount. Your first priority is to do no harm, so you want a stable grill built for the purpose of hearth cooking that won't fall out of the fireplace and set your apartment aflame. The ease of use is also important (and is probably a contributor to overall safety), as you want to be able to control your cooking conditions without much complication. As a secondary concern, I would want something that either had a rotisserie option built-in, or was rotisserie-capable. Also, I'd want maintenance to be simple. The default thought might be to go for cast iron, but you should consider that it will likely be facing temperatures that will kill the seasoning, and reseasoning could prove to be difficult. So it may be worthwhile to do some research on the best material to use for the long term. Consider getting a cast iron dutch-oven and a wire/metal bbq basket instead. 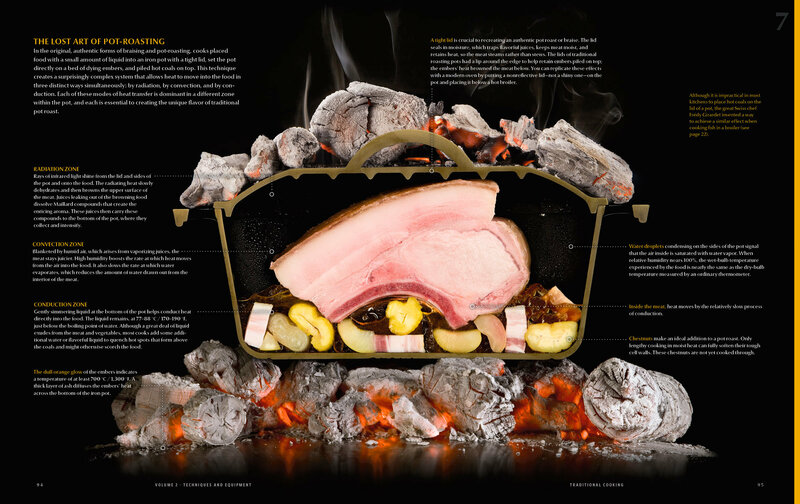 Cooking over the open wood fire is akin to driving a rocket through a go-kart track. Most people burn the logs util they have have built up good amount of charcoal. At this point, you either bury the cast-iron pot in the coal or place the cage containing food over the charcoal and watch the magic. a couple of small blocks of stone/brick propped on the desired side usually leads to the perfect height of the cage over the coal. Best part is that the cage and the pot fit in the sink for a quick cleaning. Use embers, not direct flame. The flame will burn your meat. Not the answer you're looking for? Browse other questions tagged equipment grilling or ask your own question. 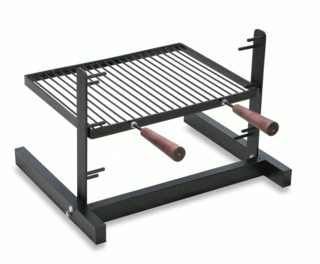 Grate positioning for charcoal grill?